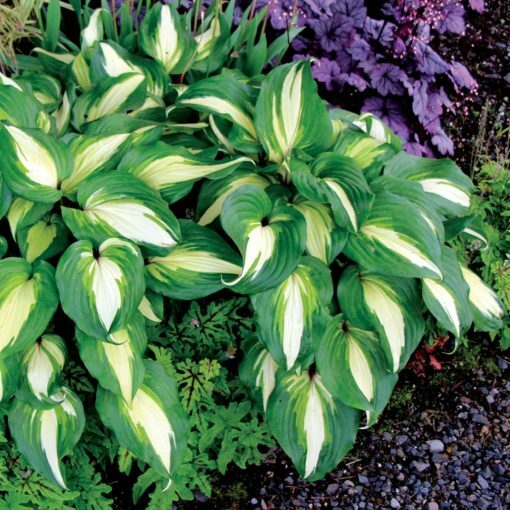 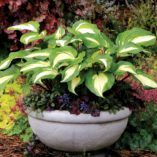 Hosta ‘Raspberry Sundae’ | TERRA NOVA® Nurseries, Inc.
Lovely compact Hosta with beautifully variegated leaves and striking deep burgundy petioles, leaf bases, and flower stalks. 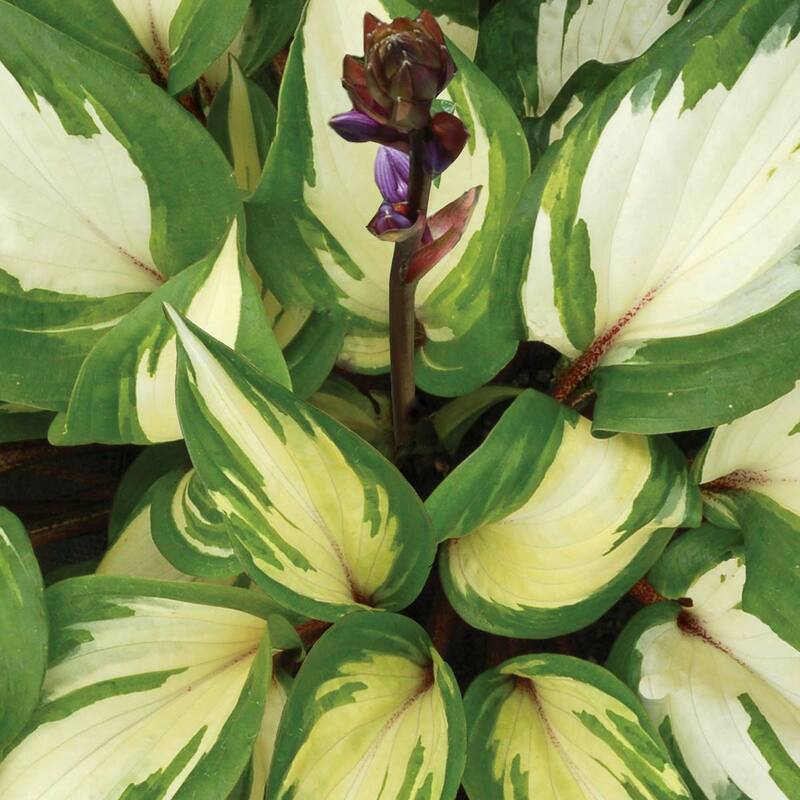 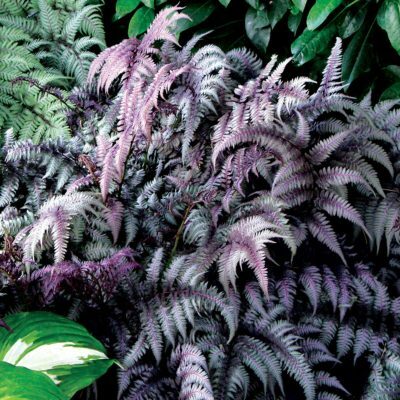 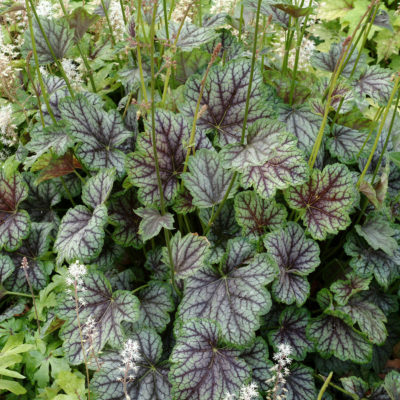 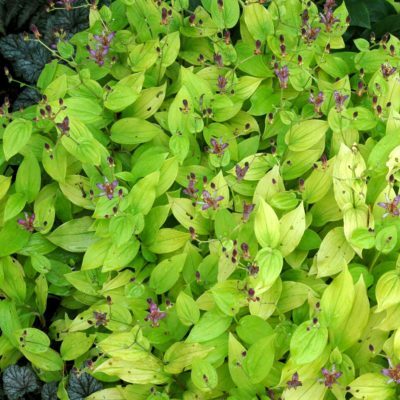 TERRA NOVA® worked on this one for many years perfecting the combination of variegation and introducing the red pigmentation to the foliage. 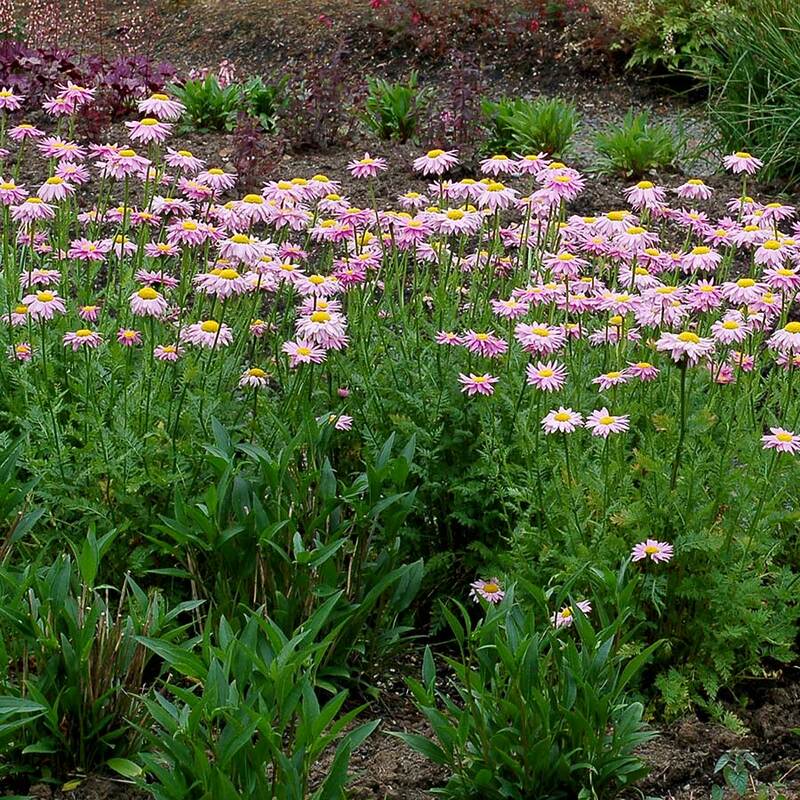 Flower color is deep lavender purple in August. 9" / 21" / 23"
Hosta will grow best in rich organic soil. 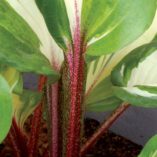 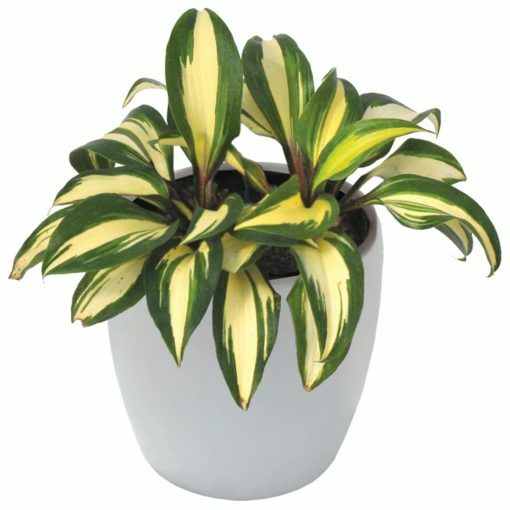 It has better and bigger leaves than other variegated, red petiole Hosta on the market. 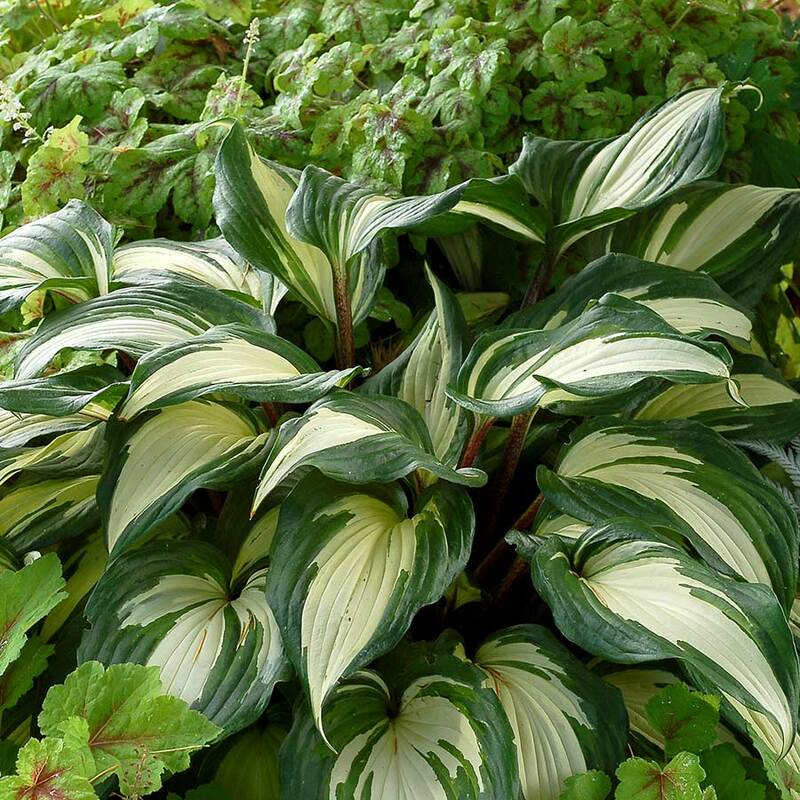 It is very well marked. 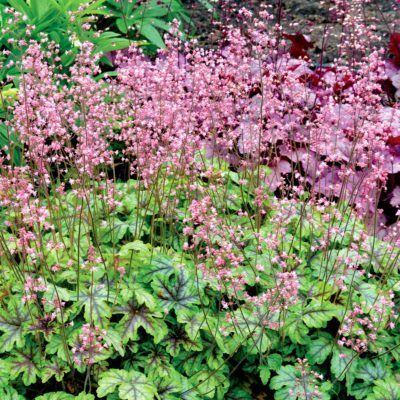 Container, mass planting, shade garden, accent, borders or mixed beds.